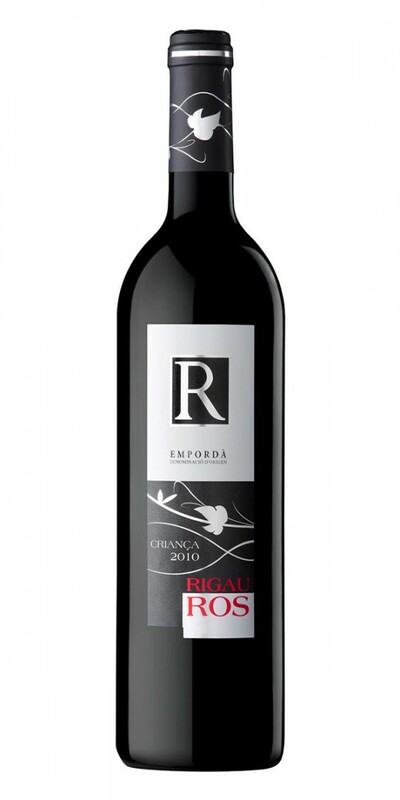 Rigau Ros Criança | Celler Oliveda. Empordà – Land of artists. Located in the northern part of the Alt Empordà region, Rigau Ros comes from the exclusive vineyards of the village Capmany. These are rocky, mineral soils predominated by granite sand and flecks of slate. Aged between 25 and 30 years old and unirrigated, the vines are forced to push their roots down to reach the water they require. As a result, they are nourished by the deepest substrata, giving the wine its intense, captivating character. Cabernet Sauvignon, Grenache and Merlot. The grape harvest is done separately for the different varieties. Due to the dry climate typical to the region, the grapes are small and in unrivalled condition. The macerations are extended in order to achieve the unique character of the Empordà region, and the temperature of fermentation is controlled. The wine is aged in American oak barrels for twelve months and then, for the rest of the time, in the bottle to achieve the required harmony between flavours and aromas. In terms of appearance, it has an intense picota cherry colour with claret tones. On the nose, it has a powerful aromatic intensity with black fruit notes against a backdrop of a dark-roasted aroma that comes from its careful aging in oak barrels. On the palate, it is tasty and meaty, with a good structure and long-lasting aftertaste. Ideal for accompanying red meats, game dishes, spicy stews, fish with sauce and cheeses. Optimal serving temperature 16°C - 18°C. Alcohol content: 13% Vol. – Total acidity: 5.5g/l.